Short getaways from Singapore are one thing we all wish we had more of. 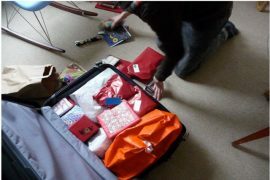 But many of us are guilty of not planning in advance which results in one thing — exorbitant air ticket prices. With 2019 almost upon us, we thought we’d help you (and us) plan better and snag cheaper air tickets. With four glorious long weekends in 2019 (which can be extended), enjoy the short getaways you’ve always dreamed of! If you’re a beach fanatic, then you’ve got to make your way to Phuket. We’d avoid the raucous touristy hotbed of Patong and recommend basing yourself slightly further south in Karon. It strikes the perfect balance of liveliness and serenity! 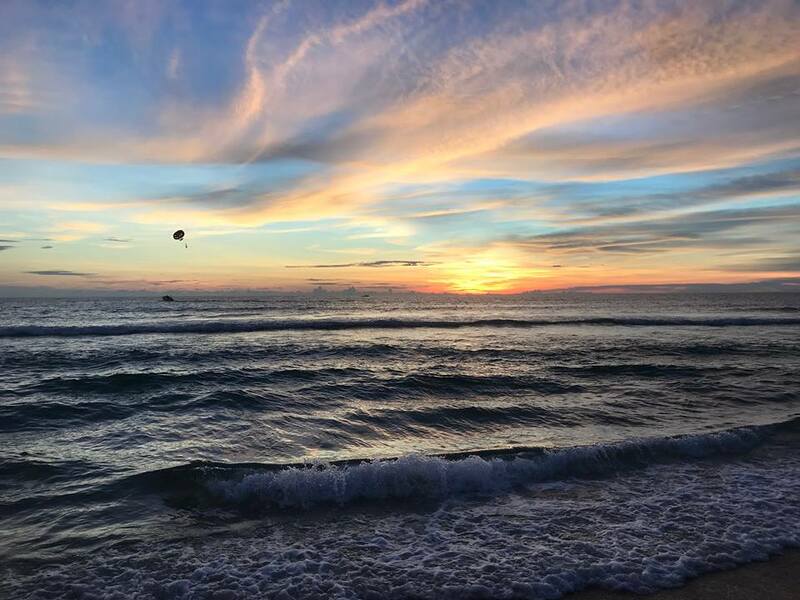 Spend most of your time at Karon beach, the epicentre of activity in this town and soak in its breathtaking sunsets. 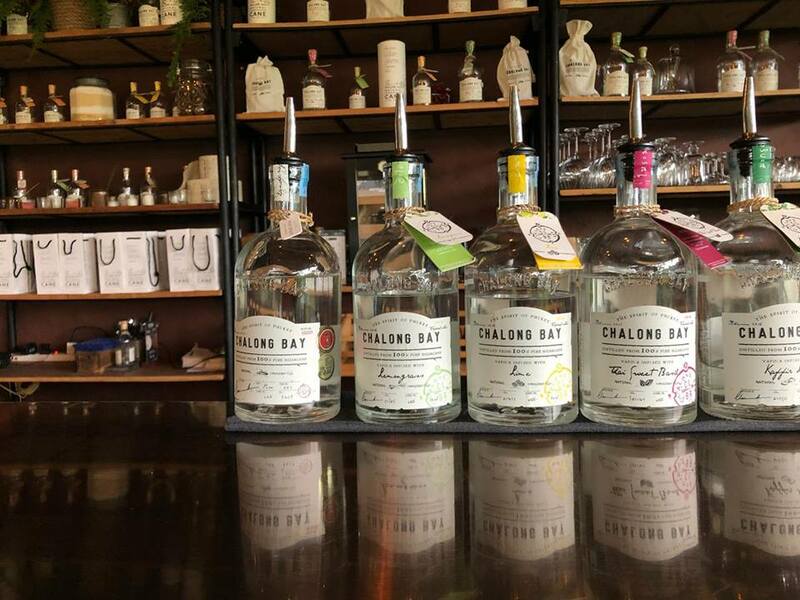 Though beach visits, Thai massages and night markets (head to Karon Temple Market) should suffice for a 2N3D trip, we recommend squeezing in a trip to Chalong Bay Distillery if you can! Learn all about how Phuket produces its own white rum and buy a bottle for keepsake. Don’t leave the Chalong area without having dinner at Palai Seafood Restaurant — a true gem of a place serving up the freshest crabs against the gorgeous backdrop of Chalong Bay pier. If you feel like it, Patong is just 20 minutes away from Karon so you can head to the neon Bangla street for some late night fun. Did we also mention that Thailand’s 7-Eleven stores are tiny food meccas? You have to try the ham and cheese toasties and iced coffee to understand what we mean. If snorkelling, kayaking and laying on glorious beaches is your jazz, then the tropical paradise of El Nido calls! This island is surrounded by 45 different islands and islets so naturally, island hopping is the name of the game here. From the glorious sunrise at Bacuit Bay to snorkelling in the crystal clear waters of Tapiutan and Matinloc islands, there are many sights to behold in this azure dreamy location. If you’re into hiking then pencil in Taraw Peak – El Nido’s highest peak. This three-hour trek can prove to be a challenge with some jagged limestone rocks but the views more than make up for it. There is no direct flight to El Nido, but for an island touted to be one of the most beautiful on Earth, we figured, this inconvenience can be overlooked. Friendly locals, a laid-back and chill vibe make it obvious why this is the last frontier to visit in the Philippines. Make sure you pack your trendy swimsuits too! Ho Chi Minh City or Saigon is a dizzying place, grappling from the horrors of its difficult past but brimming with success in many areas — excellent hospitality tops the list for us. There are almost exactly four things to enjoy in Saigon – food, museums, shopping, massages! Be sure to awaken your taste buds to the ubiquitous Banh Mi, Pho and Vietnamese coffee. For a bit of shopping (and haggling), go to Ben Thanh market and get trendy athleisure knockoffs at affordable prices. When dusk settles, chill out at Saigon’s backpacker street or Bui Vien — a pulsating, pressure-keg of a street lined with delicious food joints and bars. Don’t just dismiss this as a tourist trap, locals and foreigners both gather here, legitimising the authenticity of this street for us. Amidst this, don’t forget to understand your host city a little better – Chu Chi tunnels or the War Remnants Museums are excellent places to start with. And if you’re adventurous enough, manoeuvre through traffic Vietnam style, on a scooter, but try not to get killed. Bangkok is usually the go-to short getaway for most Singaporeans and for good reason too! It’s not only a shopping galore, but a food haven and cultural immersion all rolled into one. 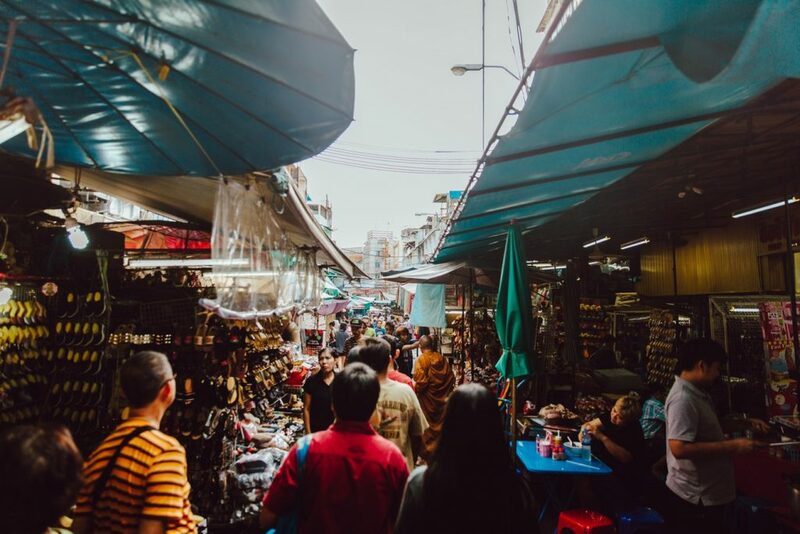 You can literally shop till you drop at Chatuchak Market and Rot Fai Market — mix of vintage and trendy with unexpected finds. Don’t forget to check out their trendy cafe scene! Even if you aren’t a cafe scene lover, the highly raved, The Commons, is a must-try! When you’re done with the shopping and food, take a day trip out! If you’re looking for a more historical adventure, then head to the UNESCO world heritage site of Ayutthaya. The Death Railways in Kanchanaburi, is an alternate destination that offers a glimpse into the dark history of POW (prisoners of wars) activities in Thailand during World War Two. With the attractive exchange rate, Malaysia is still one of the best destinations to travel to for a short, satisfying and incredibly affordable trip. The delicious local cuisine of Penang, with favourites like Assam Laksa, Char Koay Teow and Nasi Khandahar are reasons enough to travel. 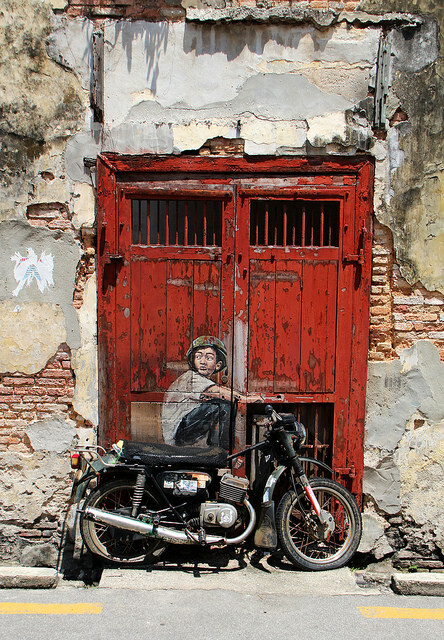 Don’t miss out the pretty street art, the city’s burgeoning cafe scene and outdoor activities at Penang Hill and Penang National Park for magnificent views of the island. If you want to splurge on a fancy hotel, The Eastern and Oriental Hotel is the place to go. A sister hotel of Singapore’s Raffles Hotel, the opulence and grandeur here is simply unmatched — think double french doors opening to the Malacca Strait and a breakfast spread to-die-for. If you prefer an accommodation right by the sea, then you can’t go wrong with the luxurious Shangri-La’s Rasa Sayang beach resort at Batu Ferringhi. Want to plan the perfect romantic short getaway from Singapore for yourself and your partner in 2019? Why not try glamping! Whether or not you think this is hedonistic, you can’t deny the luxurious draws that the phenomenon of glamping brings. Bali is also one of the best places to embark on your glamping escapade! The island of gods offers everything you and your partner need to rejuvenate your mind, body and soul before returning to reality. 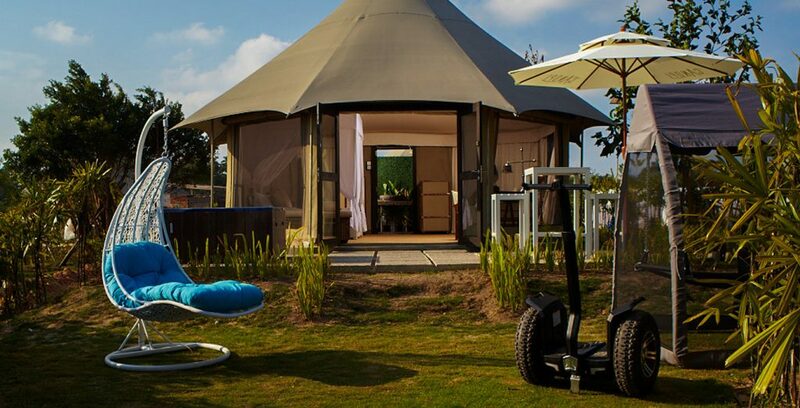 From the numerous glamping tent options Bali has to offer, Sandat Glamping Tents comes highly recommended. Choose from two types of tents: luxury ‘safari-style’ signature tents with a private pool or lumbung style two-storey tents, evocative of traditional barns. With the eco-friendly architecture, chic surroundings: the bar, lounge and dining area nestled amidst rice fields, this is camping at its finest! If you want to save on the flight ticket and splurge on the glamping accommodation, then you can’t go wrong with Bintan’s The Canopi! This short getaway from Singapore promises a family-friendly glamping experience with countless kid-friendly activities. 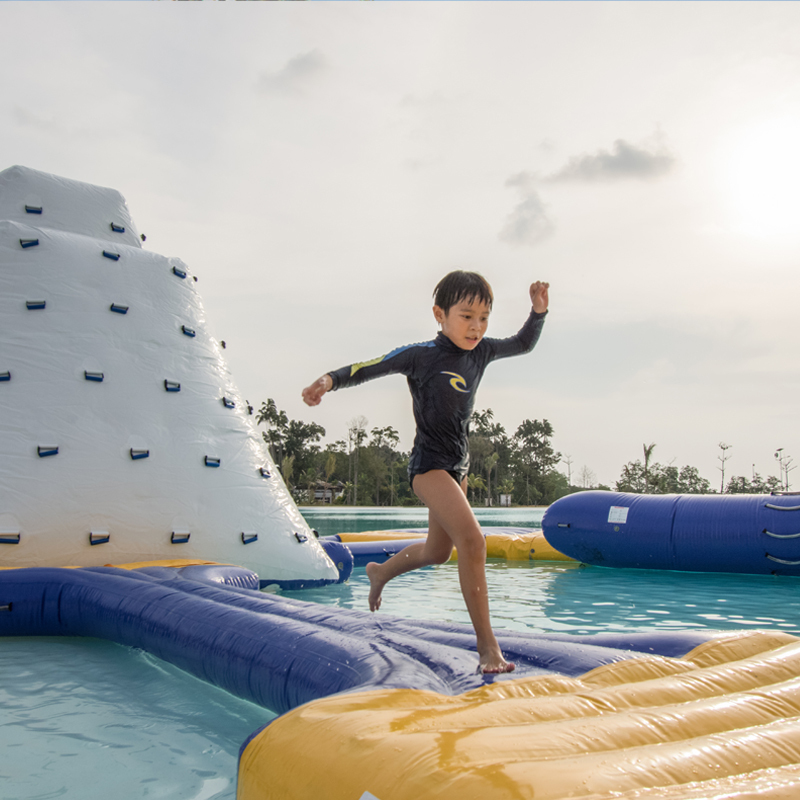 The 6.3 hectare Crystal Lagoon is an oasis for activities like kayaking, standup paddling to even wakeboarding while ATV rides (mini electric ATVs for the kids) and rainforest treks are some of the land activities to explore. The glamping tent itself is nothing short of luxury! Sink into their four-poster beds and soak in hot tubs and personalised jacuzzis. We know this is one tent (air-conditioned, mind you) we’d be wanting to stay in next year! 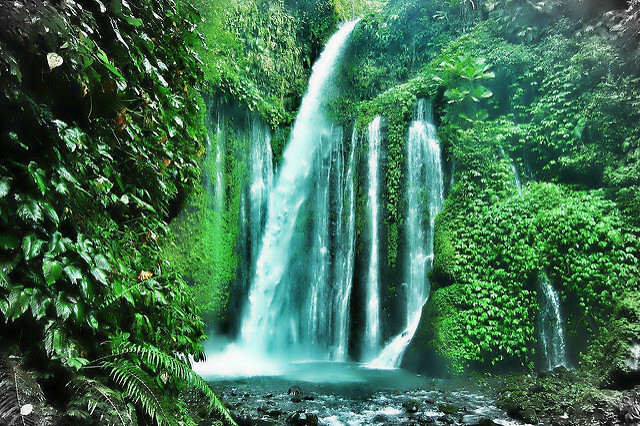 This might be a tad longer than the short getaway from Singapore you originally intended — 4D3N is the most recommended amount of time — but if you’re serious or crazy about the outdoors or all things climbing, then Rinjani is a must on your list. Mount Rinjani is an active volcano on the island of Lombok and is the second highest volcanic peak in Indonesia (after Mount Kerinci). But don’t expect a walk in the park here, this volcano is known for its steep sandy inclines and dense vegetation trails. 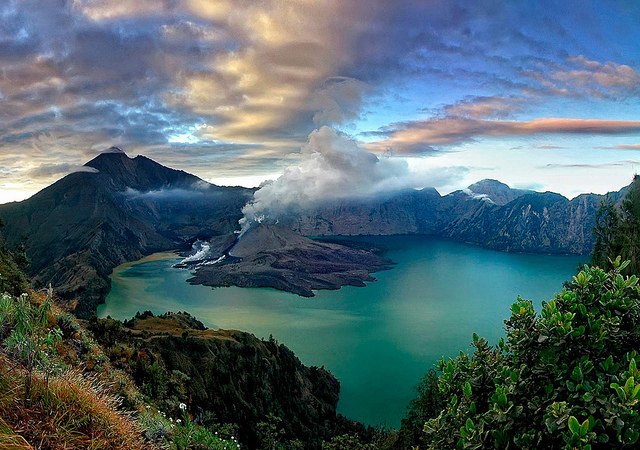 Nonetheless, Rinjani more than makes up for it with stunning views — case in point, the picture above. Even if you’re the most erudite traveller, you’ll need a trekking guide. You’ll also have to decide between two starting points (Senaru or Sembalu) prior to the climb, based on how fast you’d like to reach the summit point. Either way, you’ll get to experience starry nights and soak in the hot springs of the caldera lake. Don’t underestimate the importance of good hiking gear too. If you’ve been thinking of climbing Rinjani for a while, make it happen next year! It’s a short getaway from Singapore that’ll challenge you physically and mentally and could well turn out to be your accomplishment of the year! Maximise your short getaways from Singapore by going to places that may not have been on your bucket list previously. 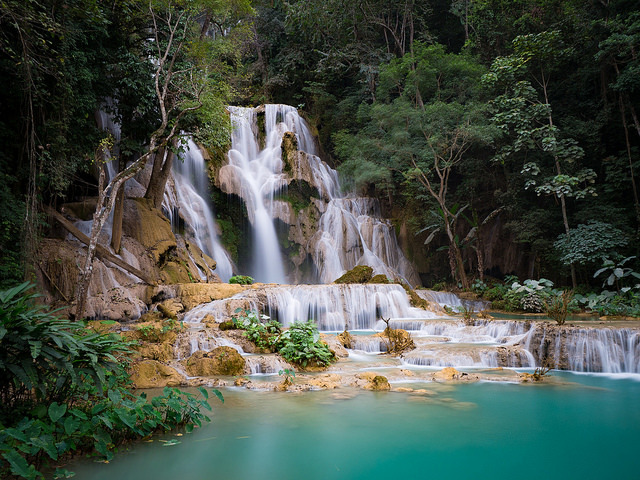 Luang Prabang, Laos’ ancient capital and current UNESCO world heritage site is a waterfall haven and perfect for all you adrenaline junkies. Apart from waterfalls, expect to be treated to sights of its magnificent gold-gilded temples, royal palaces and French colonial architecture meshed with traditional Laotian structures. Your adventure truly begins with visits to the waterfalls. Kuang Si waterfall often rates as a must-see. The main fall measures a staggering 60 metres with several pools of turquoise water at the foot of the fall. If you’re feeling adventurous then continue the ascent to the peak of the waterfalls and chill on the swing trees while enjoying the panoramic views. Hoi Khua waterfall is another one to explore. Surrounding the area is an adventure park with zip-lines and rope courses, so you get to fulfil your Tarzan-esque dreams of swinging and taking a dip into the waters! 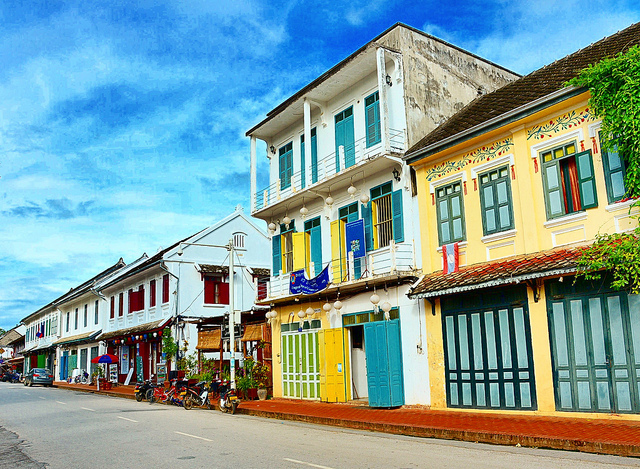 Fastest way to travel: Fly direct from Singapore → Luang Prabang. With a limited number of weekly flights, we recommend gathering your crew to book this one as early as possible. Hit by a wave of wanderlust yet? Don’t procrastinate and plan the best short getaway from Singapore in 2019 now. 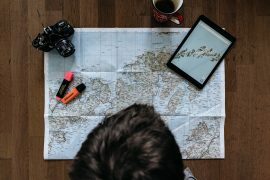 We know it can get tough to find the cheapest flight tickets online but follow our cheap air tickets flight guide and you’ll be surprised how you can actually save big time. 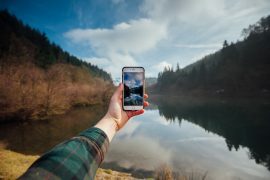 Also, remember to download your free travel apps before going for your adventure and save on those roaming fees! * TNC Applies. Valid for new users from 2 to 9 Jan only.